Warrington makes the first defence of his IBF title against Frampton at the Manchester Arena on Saturday December 22nd, live on BT Sport Box Office. And the winner is set to be heading straight into a mega fight against Valdez who has made four defences of the title he won in July 2016 against Matias Carlos Adrian Rueda. Valdez who has won all 24 professional fights, 19 by KO said: “I have always said that I want to fight the best. Valdez’s promoter Bob Arum has said he has already spoke with Frank Warren about matching the winner of the Christmas cracker between Warrington and Frampton. He told ‘The Boxing Beat’ on ESPN+: “We’re looking at January 12 for Valdez to fight on ESPN and then, assuming he wins that fight, then we would put him in with the Frampton-Warrington winner. Valdez, 27, suffered a broken jaw when he outpointed Scott Quigg in March that has kept him sidelined since that win. There had been speculation he may have boxed Frampton in August, but he hadn’t recovered from his injury in time. IBF world featherweight champion Josh Warrington takes on former two-weight world champion Carl Frampton at the Manchester Arena on December 22nd live on BT Sport Box Office. 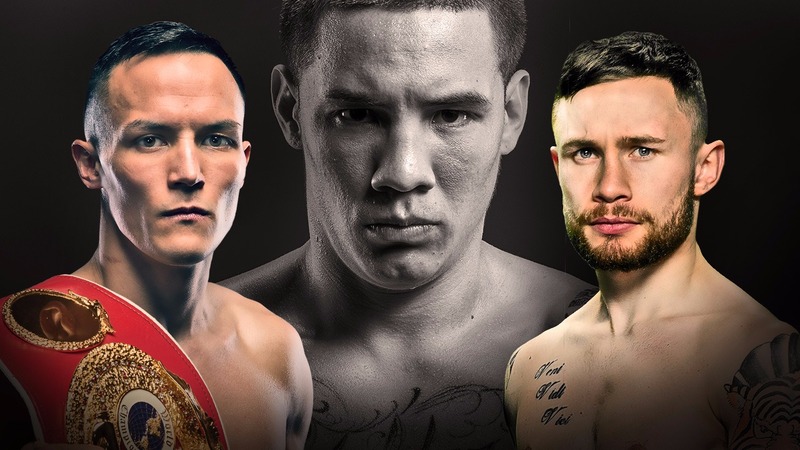 JJ Metcalf will defend his WBC International super-welterweight title against Liam Williams in support of the main event, while Mark Heffron will challenge for the British middleweight title. Belfast’s blue chip featherweight prospect Michael Conlan (9-0) also features on the bill along with world flyweight title challenger Paddy Barnes (5-1) and unbeaten Light Heavyweight contender Steven Ward (9-0). Merseyside will be represented as Liverpool’s 9-0 Welterweight prospect Sam Maxwell returns to action on the show along with Formby’s 6-0 Heavyweight Alex Dickinson. Derbyshire’s highly touted Cruiserweight Jack ‘One Smack’ Massey will also feature. Tickets are priced at £50 Upper Tier, £80 Tier, £100 Tier, £150 Tier, £200 Floor/Tier, £300 Floor, £400 Floor, £600 Inner Ring VIP Hospitality and are available.